They hope to improve care for at-risk families in Marion and Polk counties. 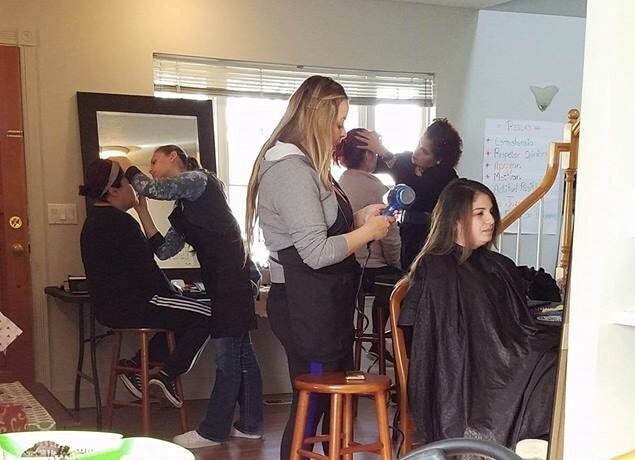 Moms are pampered at a Fostering Hope Initiative center in Salem. Curandi, a network development consultant and adaptive networking platform developer, and ACT.md, a national provider of health collaboration software, have partnered with the Fostering Hope Initiative (FHI) to improve care for at-risk families in Oregon’s Marion and Polk Counties. FHI is a collective impact initiative led by Catholic Community Services. A collaboration of governmental, private and social service organizations providing integrated healthcare and community support services to strengthen at-risk families, the initiative seeks to promote the positive development of children and build more resilient neighborhoods. In a federally-funded study, families receiving services through Fostering Hope reported statistically significant reductions in stress relative to similar families in other neighborhoods, and none had been the subject of a child maltreatment case. Curandi is currently providing network development consulting including member recruitment, strategic planning, network governance and onboarding assistance, as well as system and technology support to help FHI strengthen and formalize its networks. The company is also developing a networking analytics platform that will help FHI tie its work more closely to outcomes and reductions in healthcare costs, opening pathways to new funding sources for the initiative’s services. “The Curandi platform will facilitate a new kind of open-panel, adaptable network that collaborates around every patient and continuously learns and adapts to meet individual needs while reducing costs by tying efforts to reimbursable outcomes. It’s a way to provide truly patient-centered care and effectively address social determinants of health”, said Michael Rohwer, M.D., executive director of Curandi. A critical prerequisite to creating an outcomes-based payment model is effective collaboration software, said Dr. Rohwer, who recruited ACT.md to provide a cloud-based community care coordination infrastructure for FHI. The initiative’s Community Health Workers will use ACT.md to screen for health and social needs, refer families to local services and engage families as active participants in their health and wellness plan. Within each local network, integrated groups of service providers will manage tasks and workflows, securely communicate with each other and share data. The Fostering Hope Initiative is a neighborhood-based collective impact initiative led by Catholic Community Services of Oregon that envisions a future in which every kid in every neighborhood grows up in a safe, stable, nurturing home, enjoys good health, succeeds in school and eventually becomes a financially stable adult. Visit ccswv.org for more information. Curandi bundles the most powerful technology platforms, proven network development assets and expert technical support to help you build community-based smart networks that create connections between social service and healthcare providers, enable precision care coordination, guarantee better health outcomes and reduce overall costs. Learn more at curandi.org. ACT.md is a cloud-based platform for precision care coordination that allows caregiver teams to effectively address social determinants of health. Easy to implement and use, ACT.md allows clinicians, patients, families and community support providers to collaborate and drive compliance to shared care plans. Find out more at act.md.